My first book, Rebel Youth: 1960s Labour Unrest, Young Workers, and New Leftists in English Canada, was published in the summer of 2014. It’s available for purchase from UBC Press, Amazon, or resellers in several other countries. You can also probably find it in an academic library, or inter-library loan system, near you! It was shortlisted for the Sir John A Macdonald Prize, given to the best book of Canadian historical non-fiction. While it didn’t win, it was still a great honour to be named. During the “long sixties” — between 1964 and 1973 — baby boomers raised on democratic post-war ideals demanded a more egalitarian society for all. While a few became vocal leaders at universities across Canada, nearly 90% of Canada’s young people went straight to work after high school. There, they brought the anti-authoritarian spirit of the youth revolt to the labour movement. While university-based activists combined youth culture with a new brand of radicalism to form the New Left, young workers were pressing for wildcat strikes and defying their aging union leaders in a wave of renewed militancy that swept the country. In Rebel Youth, Ian Milligan looks at these converging currents, demonstrating convincingly how they were part of a single youth phenomenon. With no fewer than seventy interviews complementing the extensive use of archival records, this book reveals a youth current that, despite regional differences, spanned an intellectual network from Halifax to Victoria that read the same publications, consulted the same thinkers, and found inspiration in the same shared ideas. 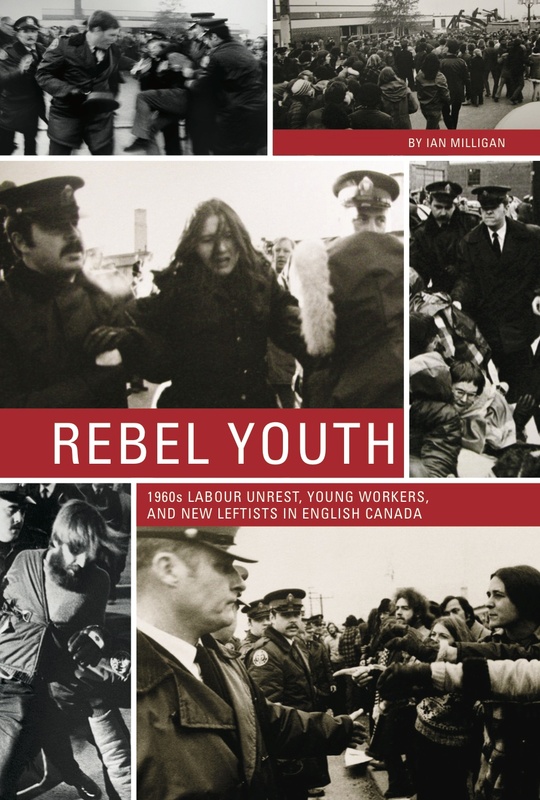 Rebel Youth draws important connections between the stories of young workers and the youth movement in Canada, claiming a central place for labour and class in the legacy of this formative decade.